Mrs. Mickey J. Coulter, age 71, of Valley passed away on Friday, January 18th, 2019 at the East Alabama Medical Center in Opelika. Mrs. Coulter was born on December 24th, 1947 to the late Spencer Creamer and Margret Faye Vickers Gurley. She was also preceded in death by two brothers, Leonard Creamer and C.L. Creamer; sister, Debbie Reagan; mother and father-in-law, Velma Coulter and Ocie Coulter. Mrs. Coulter was a Godly woman who loved the Lord. She was a member of the Upper Room Church in Valley. She loved her family and loved family gatherings and being surrounded by her family at her home. She enjoyed arts and crafts, ceramics, painting, traveling to arts and crafts shows, and camping. Her favorite time of the year and her favorite holiday was Christmas. She is survived by her husband, Johnny D. Coulter, Sr.; children, Machelle (Jackie) Preston, Mechelle (Adam) Lewis, Jamie (Marsha) L. Coulter, Wesley (Kim) Brooks, Johnny (Mary Elizabeth) D. Coulter, Jr.; brother, Leon Gurley; 30 grandchildren; 18 great-grandchildren. Funeral services will be held on Tuesday, January 22nd, 2019 at 2:00P.M. EST at the Johnson Brown-Service Funeral Home chapel in Valley with the Reverend Bogey Cotney officiating. Her family will be receiving friends at the funeral home Monday evening from 6:00P.M. EST until 8:00P.M. EST. 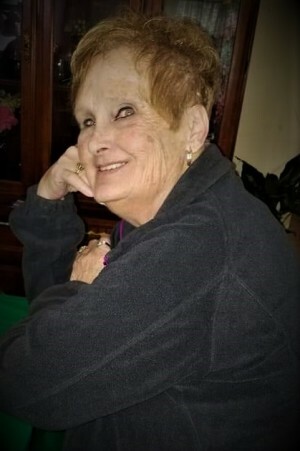 Please visit her Memorial Tribute page at www.johnsonbrownservicefh.com to leave a condolence for her family, share a memory of Mrs. Coulter, or to light a Remembrance Candle in her memory.